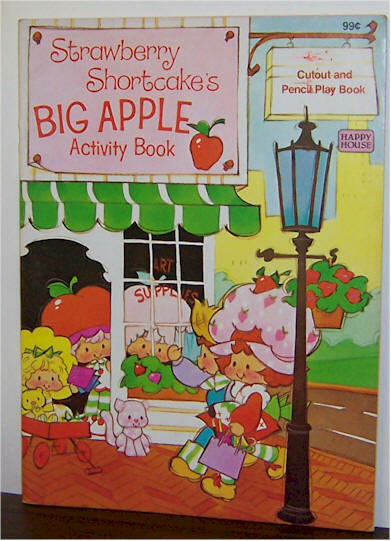 Price $12 Strawberry Shortcake's BIG APPLE Activity Book. 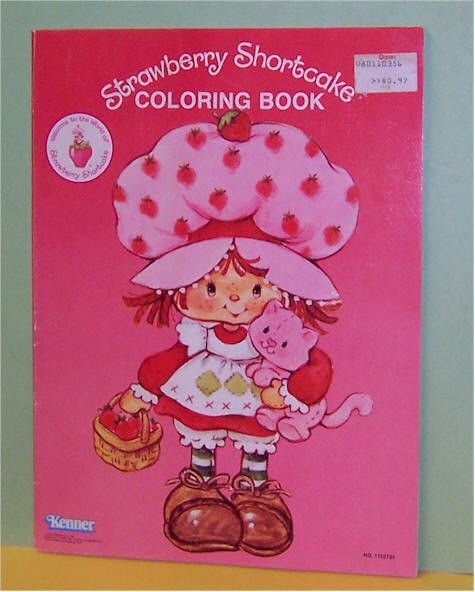 No coloring or writing in the book. 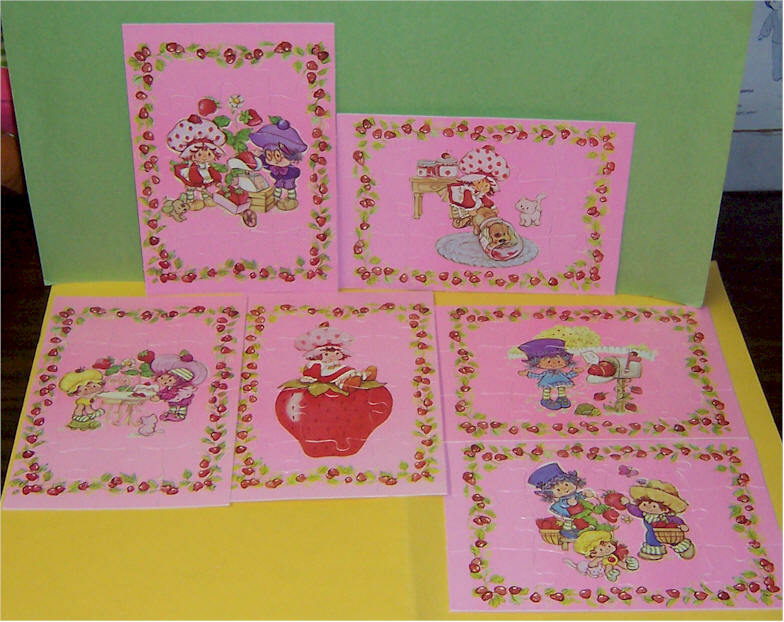 American Greetings. 1983. Mint condition. 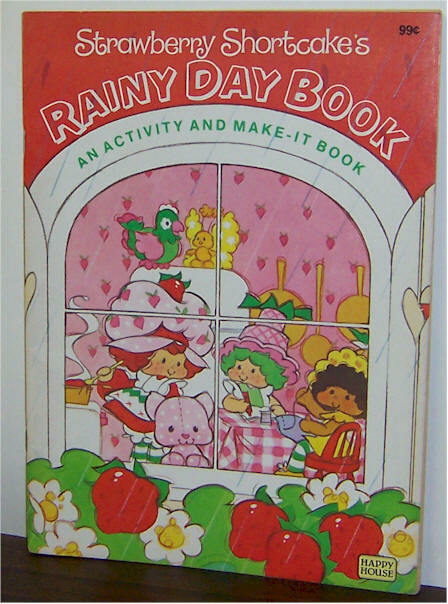 Strawberry Shortcake's Rainy Day Book. 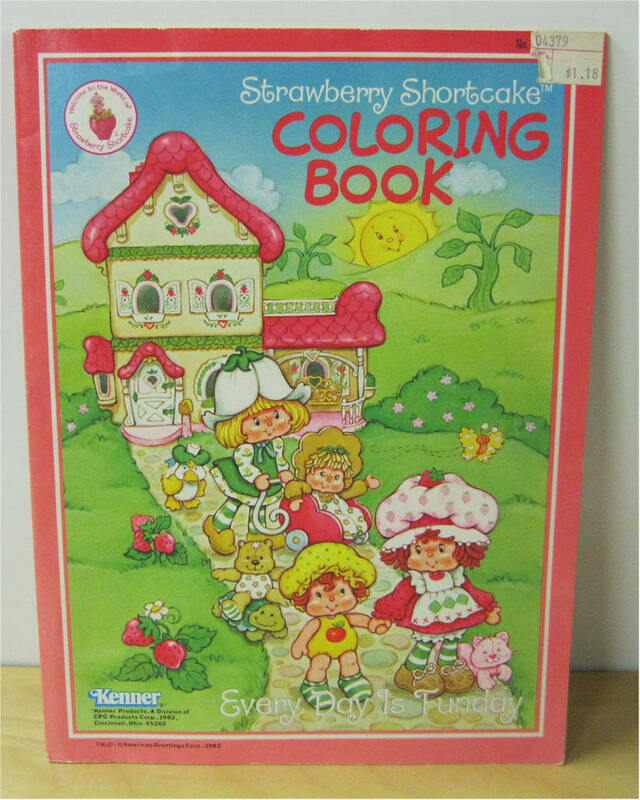 No coloring or writing in the book. American Greeting 1983. Mint condition. 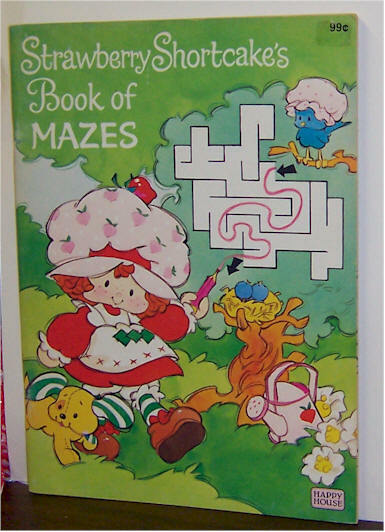 Price $14 SOLD Strawberry Shortcake's Book of Mazes. 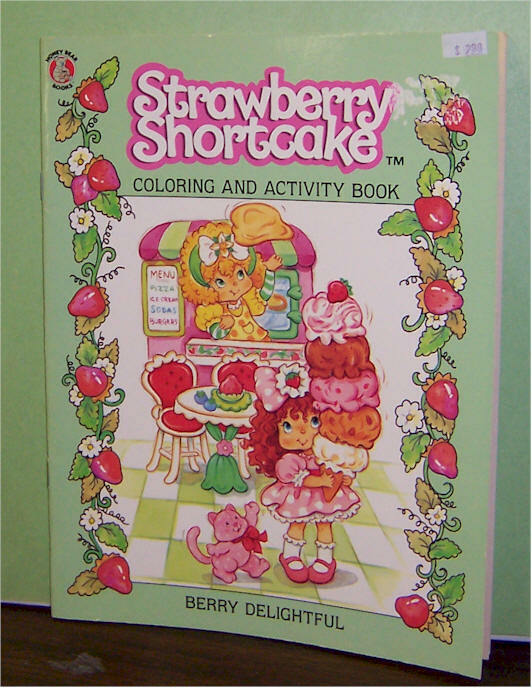 No coloring or writing in the book. American Greeting 1982. Mint condition. 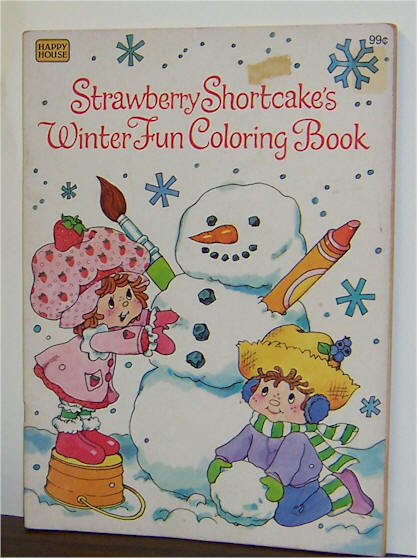 Strawberry Shortcake's Winter Fun Coloring Book. 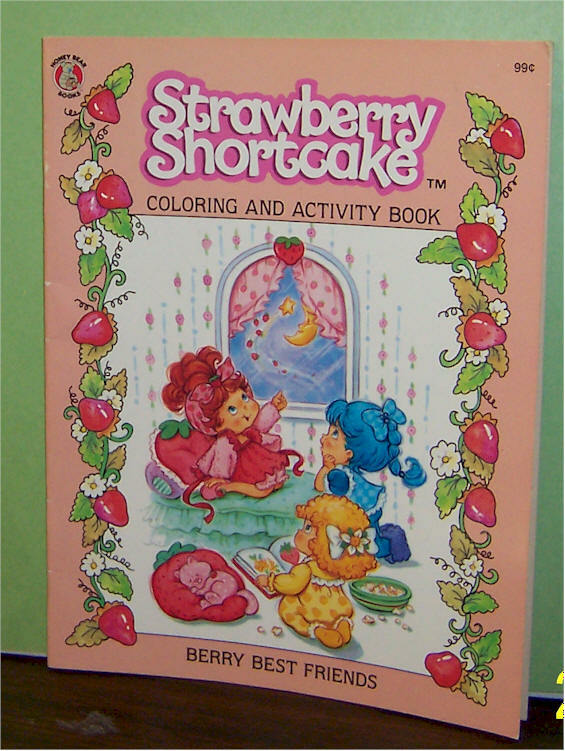 No coloring or writing in the book. American Greeting 1981. Mint condition. 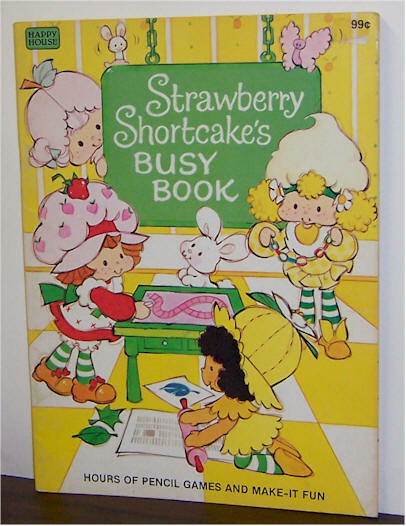 Price $16 Strawberry Shortcake's Busy Book. No coloring or writing in the book. American Greeting 1982. Mint condition. 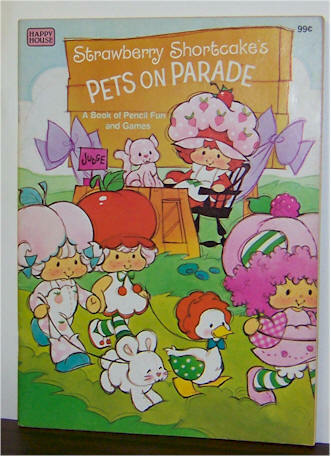 Strawberry Shortcake's Pets on Parade. No coloring or writing in the book. American Greeting 1983. Mint condition. 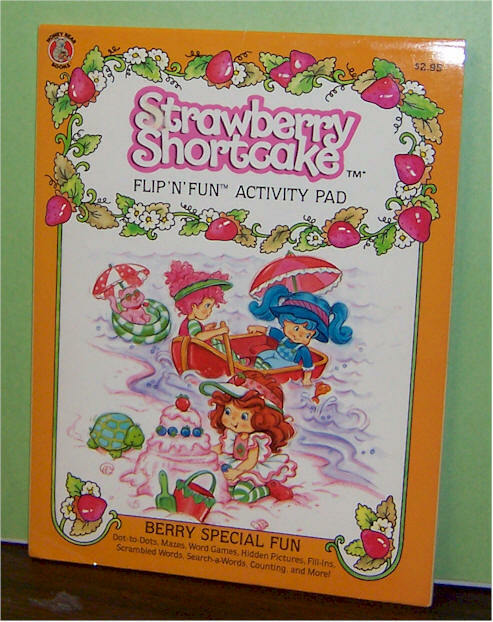 Price $14 SOLD Strawberry Shortcake Coloring Book. . No coloring or writing in the book. American Greeting 1981. Mint condition. 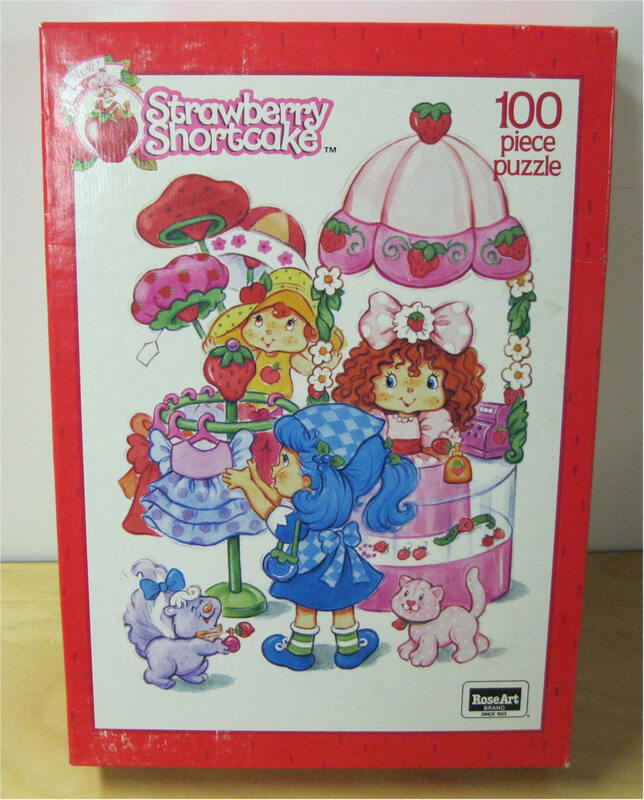 Strawberry Shortcake Connect-the Dots Fun. No torn pages. Dots are all connected - nicely done. Great for coloring. American Greeting 1981. 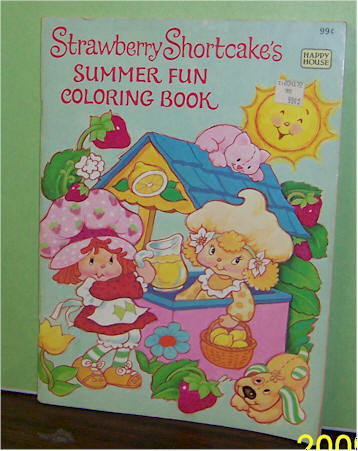 Price $6 SOLD Strawberry Shortcake Summer Fun Coloring Book. . 3 pages are colored. No torn pages. Nicely done. American Greeting 1981. Good condition. 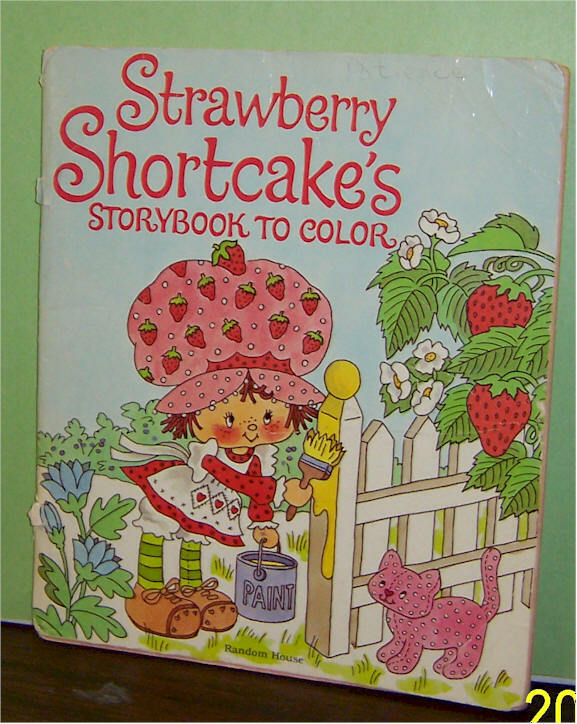 Strawberry Shortcake Coloring Book. . No coloring or writing in the book. American Greeting 1981. Mint condition. 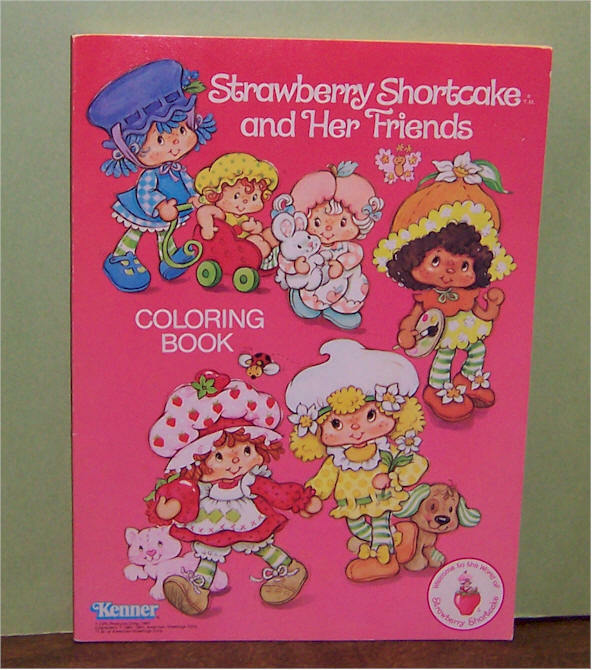 Price $14 Strawberry Shortcake and Her Friends Coloring Book. . No coloring or writing in the book. American Greeting 1981. Mint condition. 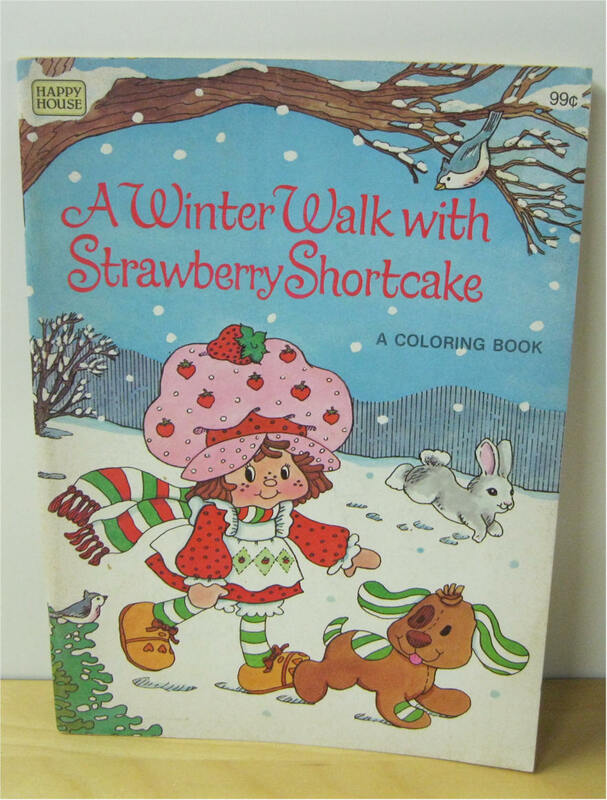 Price $32 SOLD A Winter Walk with Strawberry Shortcake Coloring Book. . No coloring or writing in the book. American Greeting 1981. Mint condition. 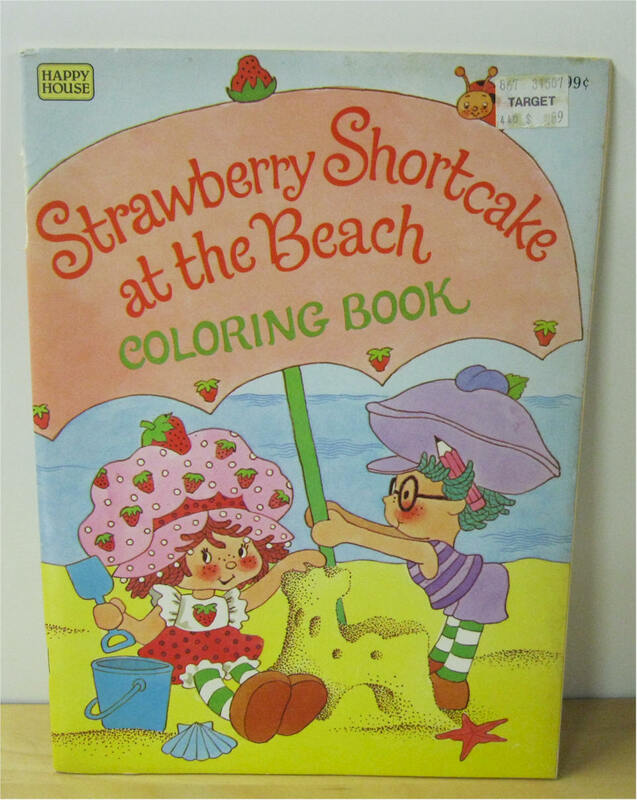 Strawberry Shortcake at the Beach Coloring Book. . No coloring or writing in the book. American Greeting 1981. Very small piece of paper missing on back cover. Mint condition. 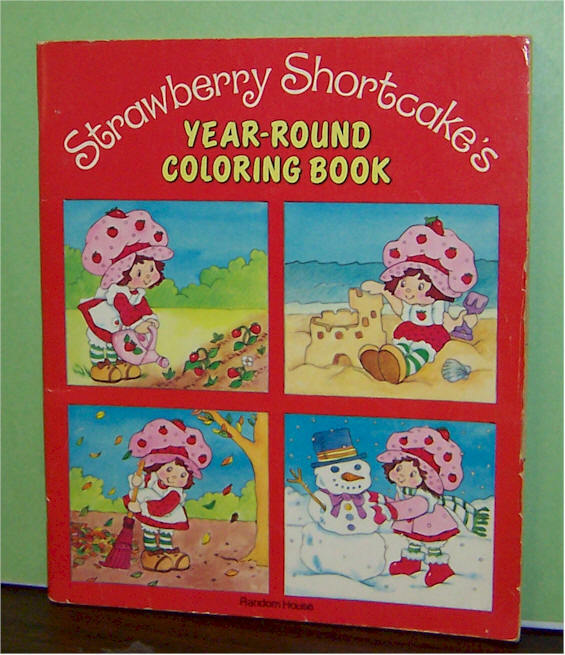 Strawberry Shortcake's Year-Round Coloring book. Random House . Used condition. 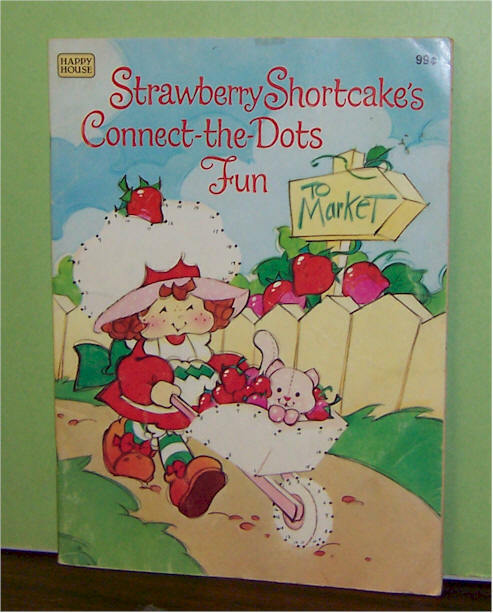 Price $3 SOLD Strawberry Shortcake's Year-Round Coloring book. American Greeting 1983. Used condition. 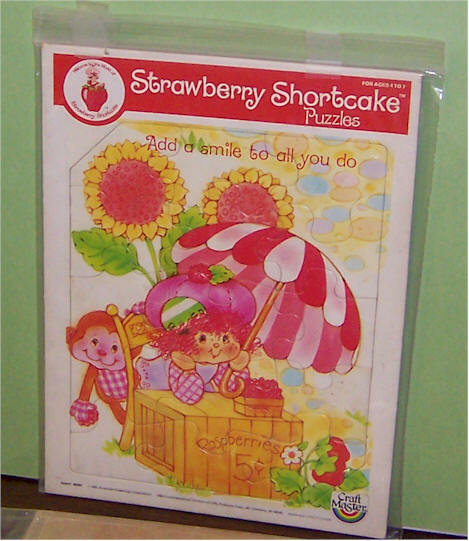 Strawberry Shortcake's Coloring Book - Berry Best Friends. 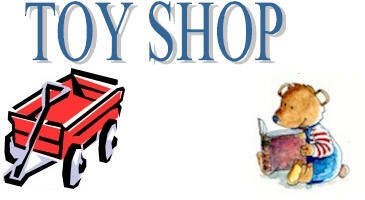 Features the 1992 THQ SS Dolls. Never used. 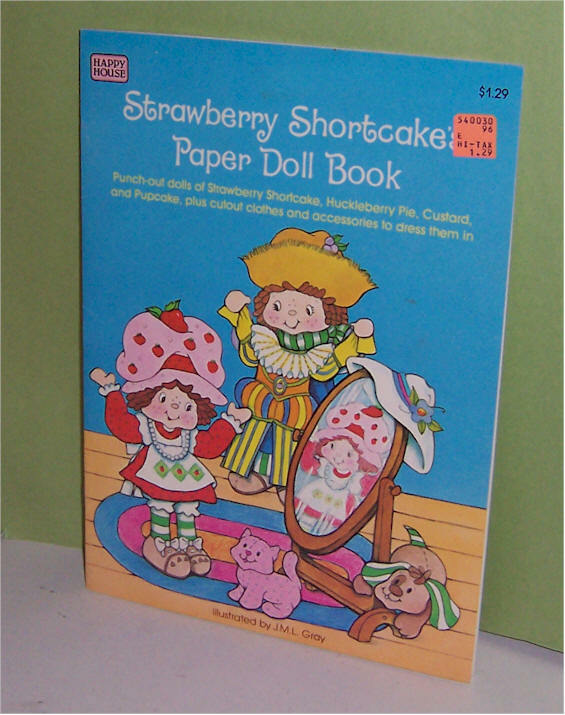 Price $16 SOLD Strawberry Shortcake's Coloring Book - Berry Delightful Features the 1992 THQ SS Dolls. Never used. 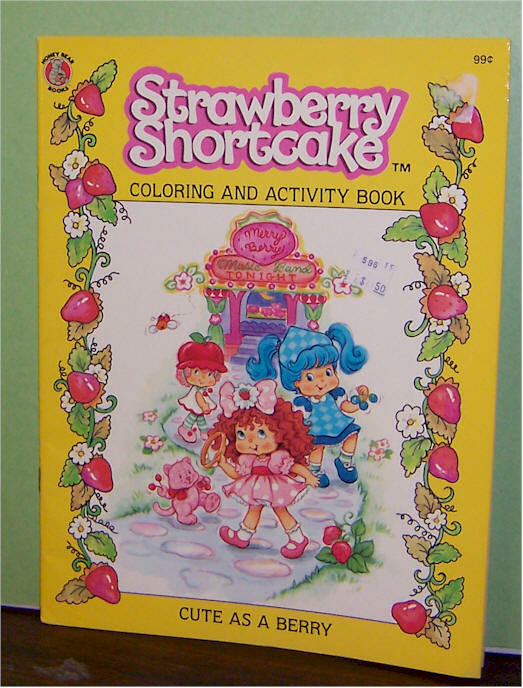 Strawberry Shortcake's Coloring Book - Cute as a Berry Features the 1992 THQ SS Dolls. Never used. 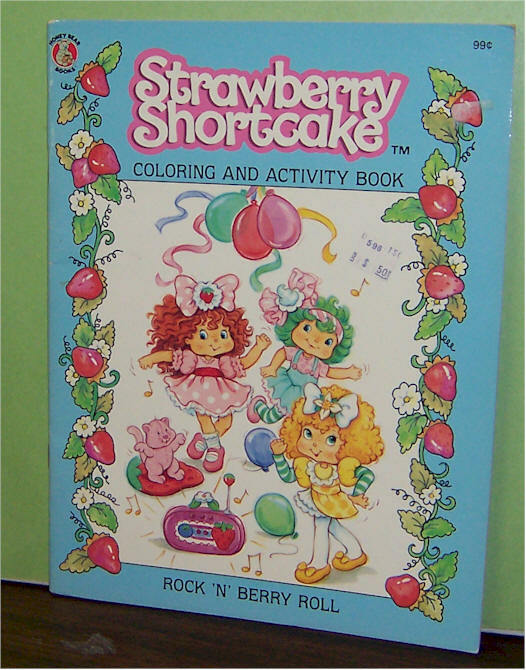 Price $16 SOLD Strawberry Shortcake's Coloring Book - Rock 'N' Berry Roll Features the 1992 THQ SS Dolls. Never used. 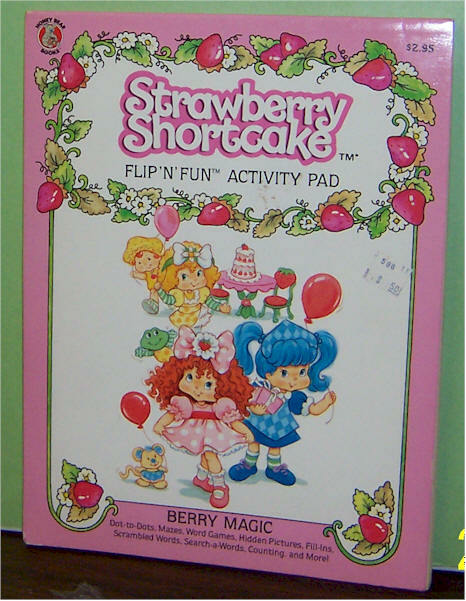 Strawberry Shortcake's Coloring Book - Berry Magic Features the 1992 THQ SS Dolls. Never used. 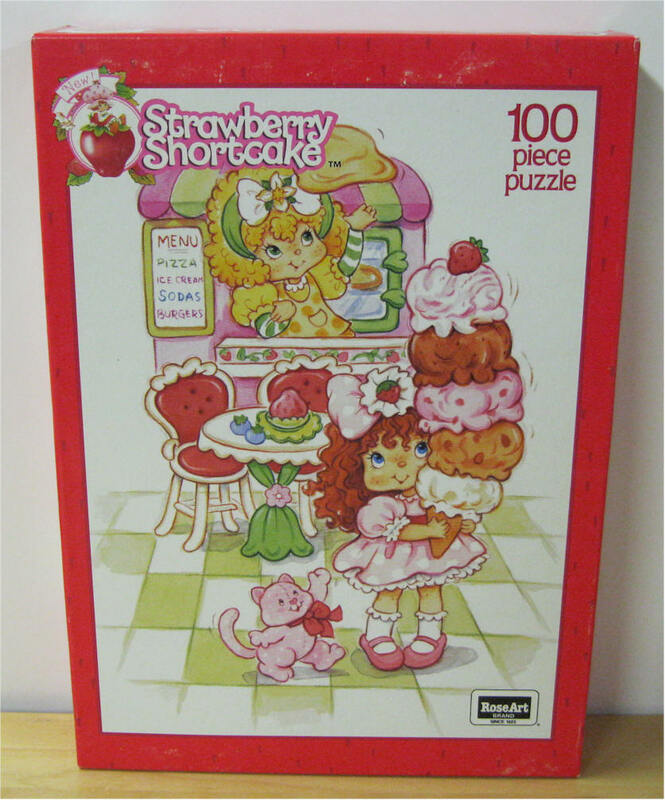 Price $16 Strawberry Shortcake's Coloring Book - Berry Special Fun Features the 1992 THQ SS Dolls. Never used. 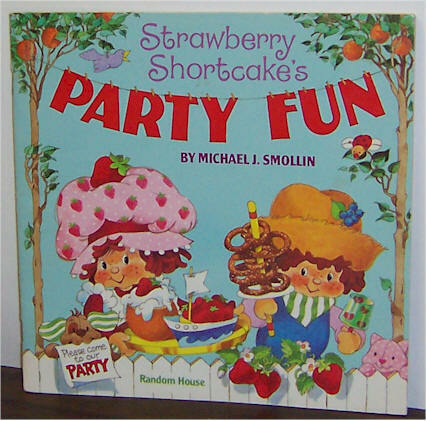 Strawberry Shortcake's Party Fun. . Name written first page. American Greeting 1983. Good condition. 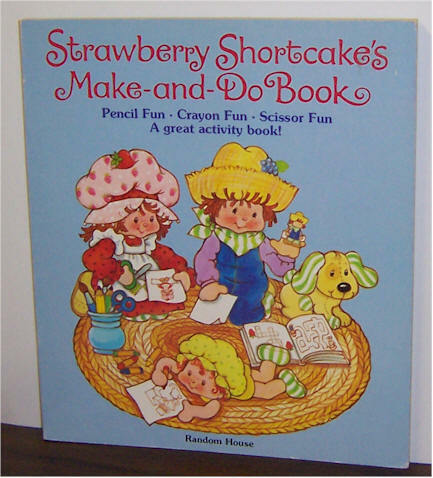 Price $3 Strawberry Shortcake's Make-and-Do Books. 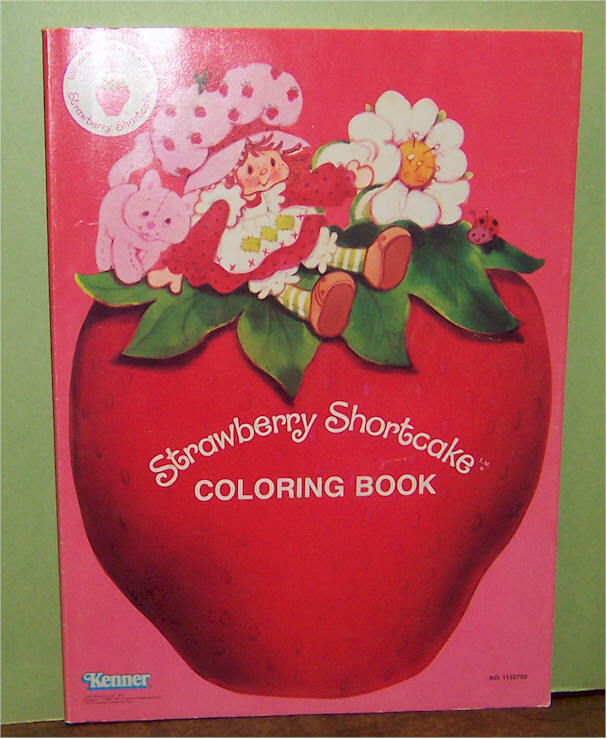 No coloring or writing in the book. American Greeting 1981. Good condition. 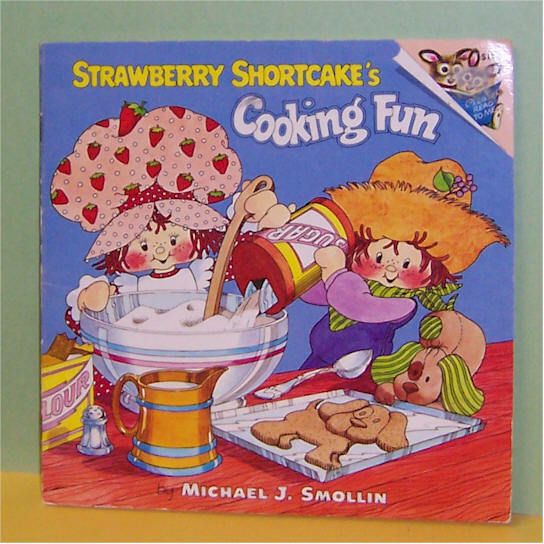 Strawberry Shortcake's Cooking Fun. . American Greeting 1980. Good condition. 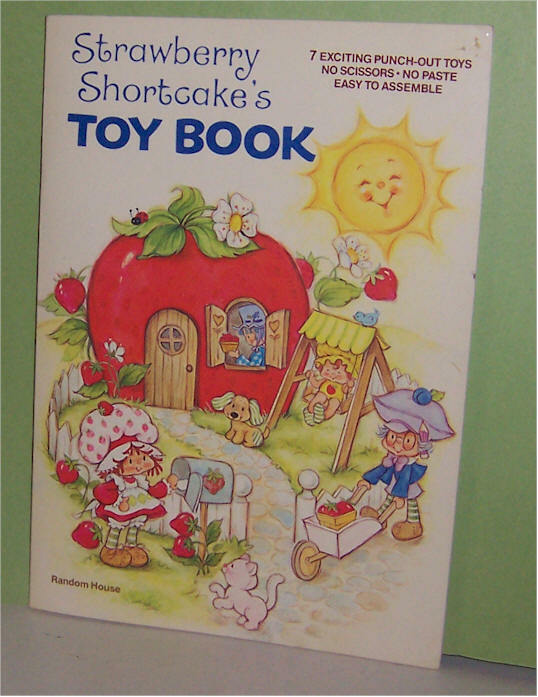 1984 SS Paper Doll Book - punch-out dolls of SS, Huck, custard & pupcake, clothes and accessories to dress them in. Mint never used. 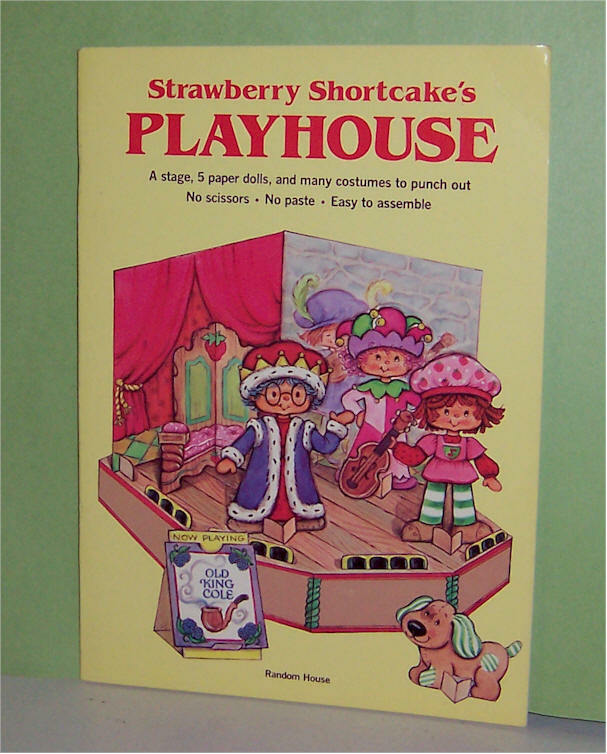 Price $25 1980 SS Playhouse Book by Random House. A stage , 5 paper dolls, and many costumes to punch out. no scissors, no paste. easy to assemble Never used. Mint 32 pages. 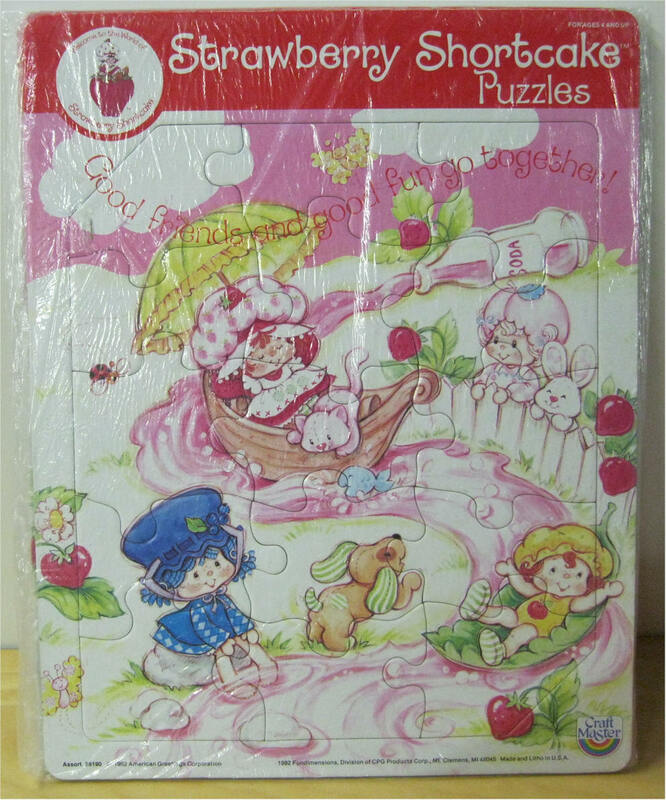 Strawberry Shortcake's Puzzle "Add a Smile to all you do" American Greeting 1983. Good condition. 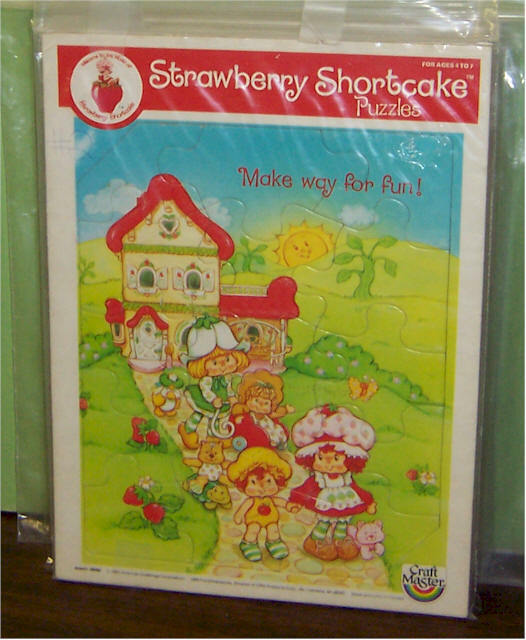 Price $6 Strawberry Shortcake's Puzzle "Make Way for Fun" American Greeting 1983. Good condition. 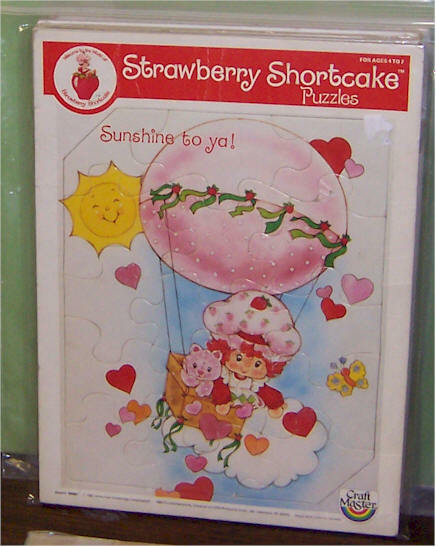 Strawberry Shortcake's Puzzle "Sunshine to ya!" American Greeting 1983. Good condition. 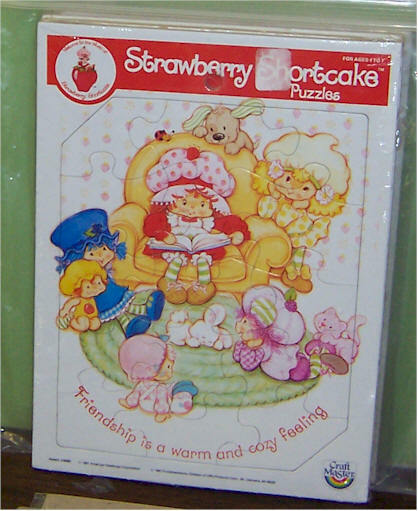 Price $6 Strawberry Shortcake's Puzzle "Friendship is a warm and cozy feeling" American Greeting 1981. Good condition. 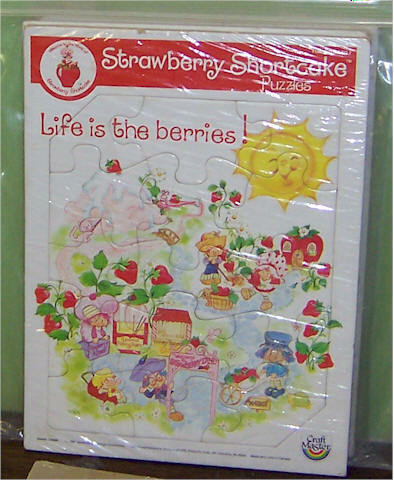 Strawberry Shortcake's Puzzle "Life is the Berries" American Greeting 1981. Good condition. 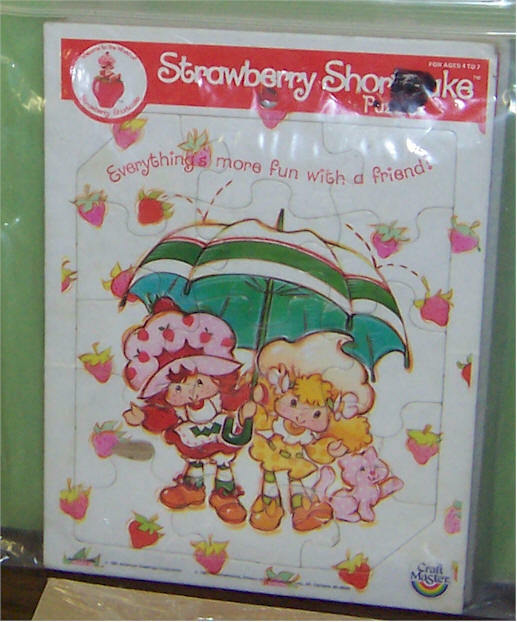 Price $6 Strawberry Shortcake's Puzzle "Everything's more fun with a friend" American Greeting 1981. Good condition. 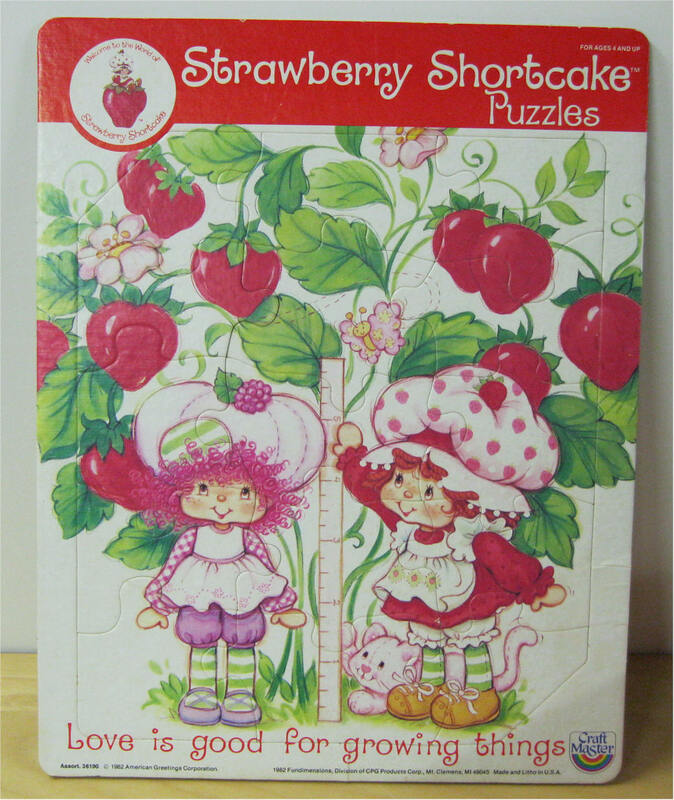 Strawberry Shortcake's Puzzle "Love is good for growing things 1982 American Greeting - Craft Master. Good condition. 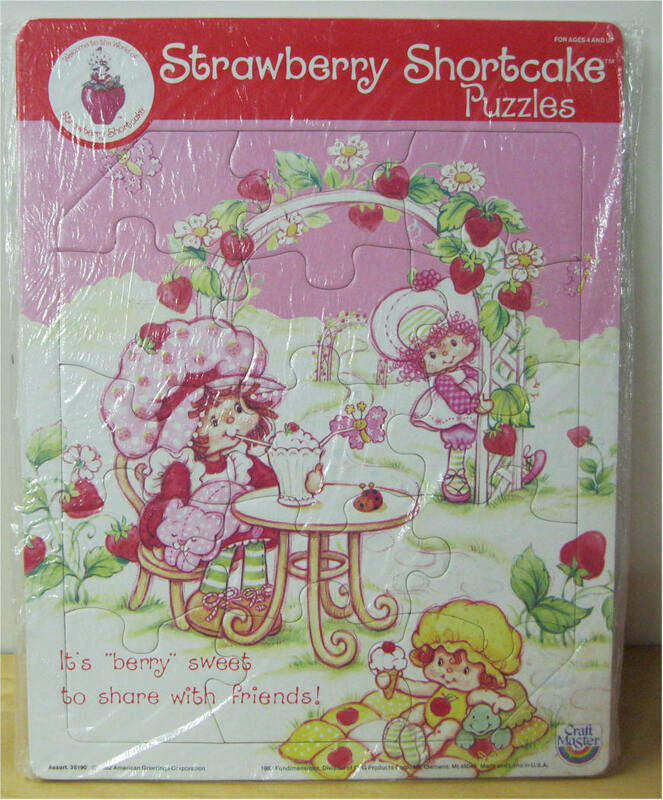 LARGE PUZZLE MEASURES 11" x 14"
Price $12 Strawberry Shortcake's Puzzle "It's berry sweet to share with friends!" 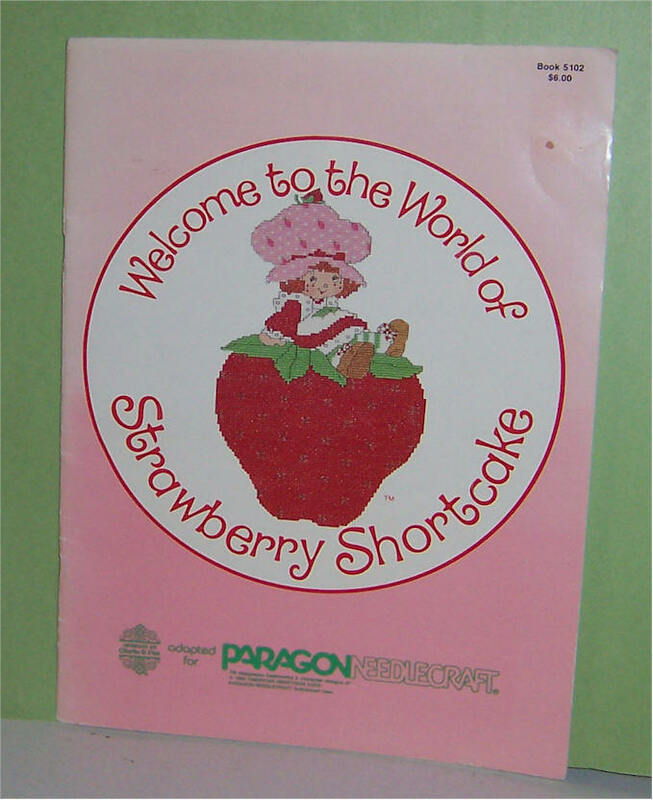 1982 American Greeting - Craft Master. Good condition. 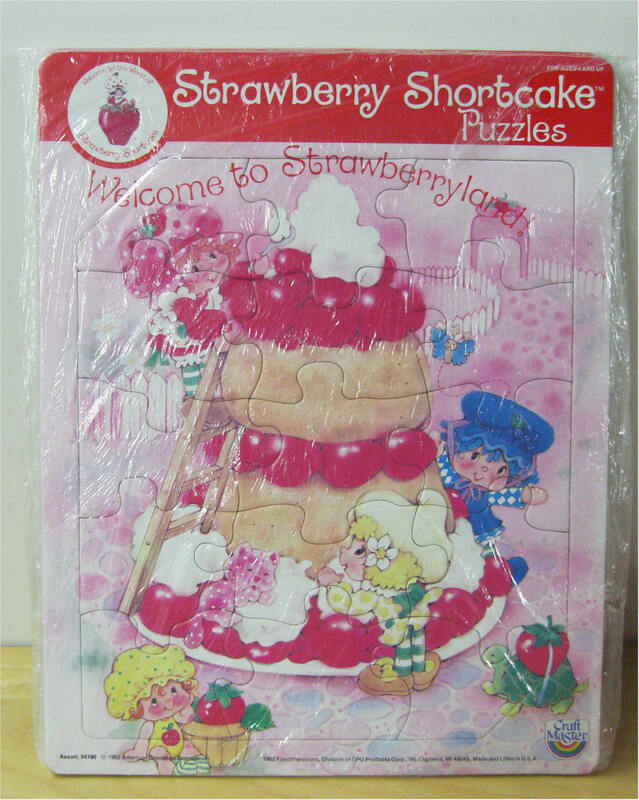 LARGE PUZZLE MEASURES 11" x 14"
Strawberry Shortcake's Puzzle "Welcome to Strawberry Shortcakeland" 1982 American Greeting - Craft Master. Good condition. 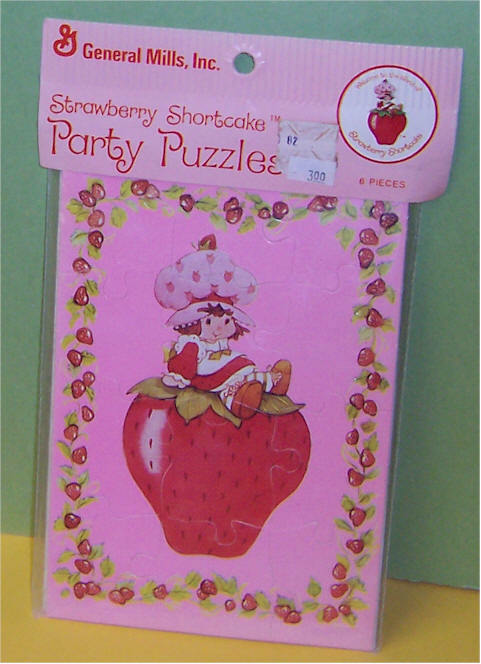 LARGE PUZZLE MEASURES 11" x 14"
Price $12 Strawberry Shortcake's Puzzle "Good freinds and good fun got together" 1982 American Greeting - Craft Master. Good condition. 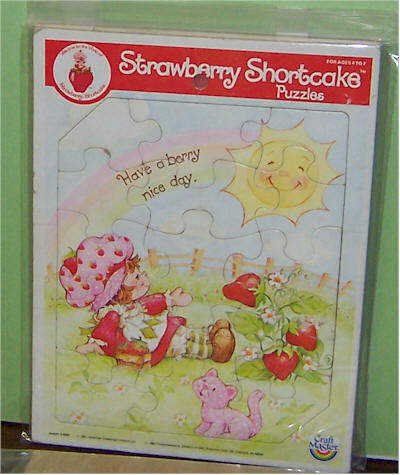 LARGE PUZZLE MEASURES 11" x 14"
Strawberry Shortcake's Puzzle "Have a berry nice day." American Greeting 1981. Good condition.